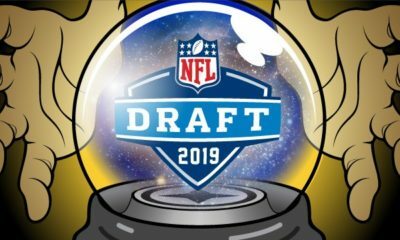 Is Drew Lock the best quarterback in the NFL Draft? Why is he special? 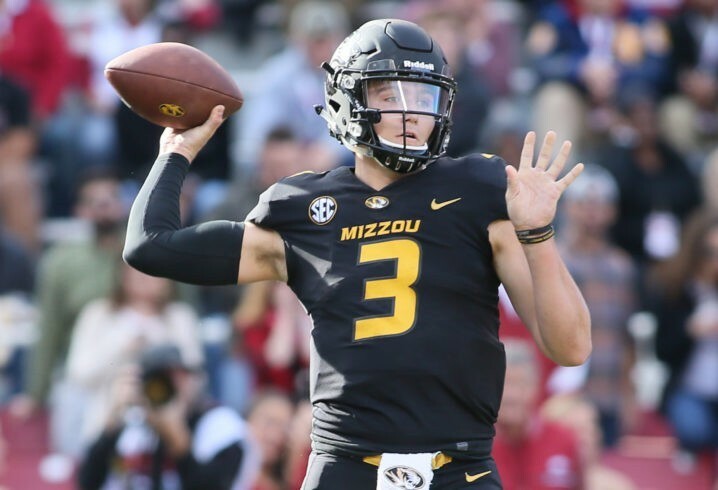 Drew Lock of Mizzou is one of the best quarterbacks in the NFL Draft, and today our draft guru Steve Hamner breaks down the young quarterbacks film. Breakdown: A little over a year ago, many people were expecting Drew Lock to enter the NFL draft and potentially be a first round pick. 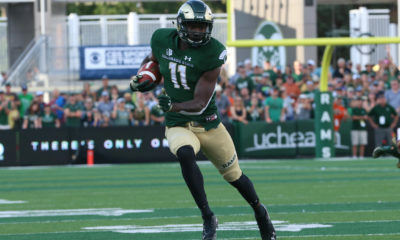 He decided to come back for his senior season and by his own admission is now better prepared for the NFL than he would have been if he decided to leave after his junior year. If you spent time watching him play over the years, it is obvious that he made the right decision. Not only do I think he will go higher this year than he would have last year, but he is in a much better situation to succeed at the next level, largely thanks to going back his senior year and developing. Most every mock draft that comes out has him being a first rounder and one of the first three quarterbacks taken. After his junior year he was still a raw, athletic, strong armed quarterback with a lot of flaws and a lot of potential. His senior season he still had some inconsistencies with some plays that made you scratch your head and wonder what he was thinking. However, his completion percentage went from 57.8% his junior year to 62.9% his senior year, which is a big jump. It would have been even higher if not for a decent number of drops by his supporting cast this year. His pre-snap reads and presence in the pocket were noticeably better this year. His quick release and strong arm is something that he has always had, but worth mentioning again. Even the games that he struggled the most in (Kentucky and Alabama,), I thought he played much better than the box-scores indicated. There were several big drops that if the Missouri player would have caught would have gone a long way in helping Missouri’s case in those games. Here are a few clips that demonstrate the improvement in Lock’s game, mainly his work in the pocket and pre-snap reads. First Video: It will be hard to find a better throw than this. A big third down conversion early in the game before Alabama ran away with it. Bama only rushes four, Lock stays in the pocket and throws a strike into an extremely small window between the corner and safety. Perfect ball with no room for error. Second Video: Another good job in the pocket. Lock knows he has plenty of blockers, climbs the pocket appropriately while keeping his eyes downfield and throws a strike for a first down. Third Video: The below clip may be my favorite play by Lock from the whole season. Again, Lock does a great job stepping up in the pocket. His eyes stay downfield even as Florida rushes five, he knows he has plenty of protection with the running back staying in to help. This is over a 40-yard strike on a line. 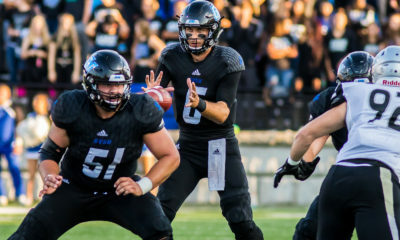 When Lock is in a groove, he is arguably the best quarterback in the draft. If he continues to become more consistent and gets rid of those “headscratcher” plays, he could develop into a very good quarterback in the NFL. The fact he came back for his senior year and got noticeably better shows he is a guy that can be developed into an NFL QB. The more film I watched on him, the more I liked him. Looking forward to see who ends up pulling the trigger on this gunslinger. Improved accuracy this year (Completion Percentage would have been even higher if not for drops).